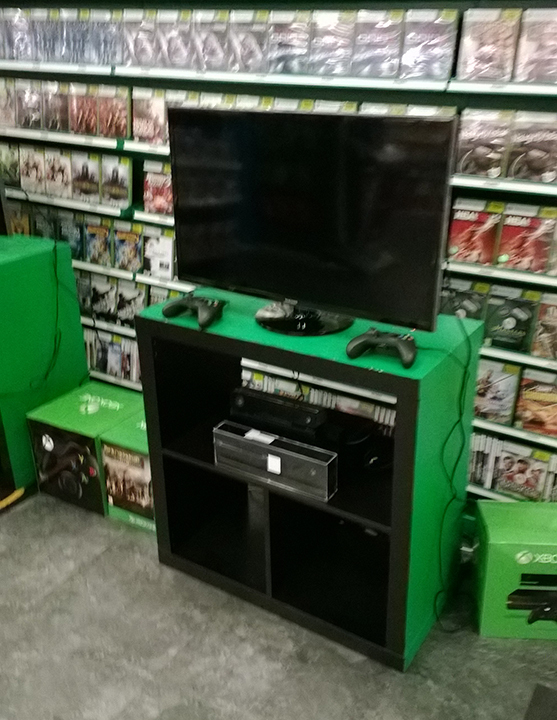 GAME held Xbox One lock-ins across the country this month, and one of them was in Hull. I didn’t want to miss the opportunity to play an Xbox One before launch so I reserved a place for me and my friend Danny. Anyway, it was worth it because I got to play Dead Rising 3 for 10 minutes. It was really fun, weapons were great, there were so many zombies to kill and it all ran very smoothly at 30 fps. I did see some disappearing bodies when other people were playing, and it crashed for one person, but this isn’t the final build and they’re using dev consoles so those issues can be excused for now. It was noticeable that the game was running at 720p, but DR3 was good enough for me to not mind after a while. On to hardware, the console looks smaller than the images you see online. The controller was not what I was expecting. It was fairly different to the Xbox 360’s controller, more so than I thought it was going to be. The texture of the plastic they used is really nice. The shoulder buttons are my biggest complaint. They are too close to the left stick and face buttons, I had to use more of a claw grip than the 360 controller which wasn’t very comfortable. The travel distance on these buttons is also a bit too small, they are quite difficult to press. I much prefer the 360’s bumpers. It seems Microsoft have designed the controller to be more comfortable resting in your hands than when actually playing. The analogue sticks are okay, they’re a bit too small but I’m sure I’d get used to them. 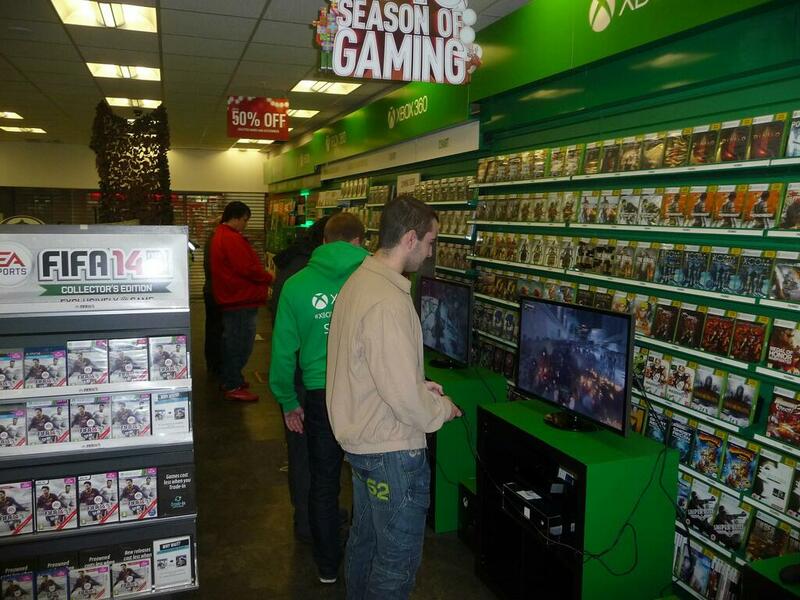 While we were there they also had Call of Duty: Ghosts to play on Xbox 360. I haven’t played CoD 2013 before so I had a go. Very much similar to previous installments. I’m surprised how good the graphics are on current gen hardware. It’s still more of the same though, worth missing or waiting for the One/PS4 versions. Overall then, a positive experience. I’m still not sure whether it’s a good idea to get an Xbox One at launch, but I know a bit more about what to expect.